​Arts Cabaret curated by time based Art organisation M2 Noel Molloy and Patrick Anderson McQuoid. Arts Cabaret are events run in public venues to enable artists to show artworks such as installations, paintings, sculpture and create performance, perform poetry , music, storytelling, comedy, dance and mime or what the performer chooses . Both professionals and armatures are given the platform to experiment and try new material in front of the public audience ,plus gain the experience of live performance. Program so far for ARTS CABARET 15 and FAXBOX PROJECT-- POETRY Dympna Molloy, Patrick Anderson McQuoid, WRITER Gwen MacNamara Bond , SINGER Declan Coyne, Charlie McGettigan, PERFORMANCE Noel Molloy, Patrick Anderson McQuoid, Sáerlaith Molloy. VIDEO Angie Duignan, TRIBUTE VIDEO for artists who have passed on, VIDEO PREMIERE of Sliabh Bán Project, STATEMENT to be read for Day of Public Action for Freedom and Democracy. The Arts Cabaret 15 will be followed by musician Daniel Kemish curtsy of JJ Harlow,s Bar PARTICIPATE IN THE FAXBOX PROJECT send work by copying and pasting the email molloy_noel@hotmail.com or click on my email address below. The FAXBOX PROJECT will run throughout the event and work will be posted as they arrive. AND INFORMATION ON HOW TO PARTICPATE IN THE FAXBOX PROJECT. Everyone is invited to participate in The FAXBOX PROJECT. 6.00pm to 10.00pm IRISH TIME so please adjust your time according to where you live. For those who wish to send work and are unable to send it on the night of the event they can do so at any time before the 22nd SEPTEMBER 2017, ARTS CABARET 15 and it will added to the event/ website. The performance will be documented on video and attendees will be invited to give their opinion on video re. windfarms, there siting, there effect on themselves and the landscape, there benefit etc. or any comment they wish to make. Part 1 has being performed at Derrane Road Roscommon on Monday the 7th August and is documented on video. Part 2 has been performed at Castlemine Roscommon on Tuesday 15th August and is documented on video. When part 3 Sliabh Bán has been completed the three parts will be edited into one video and published on vimeo plus will receive its premier on the 22nd of September for Culture Night at JJ Harlow's Bar Roscommon. 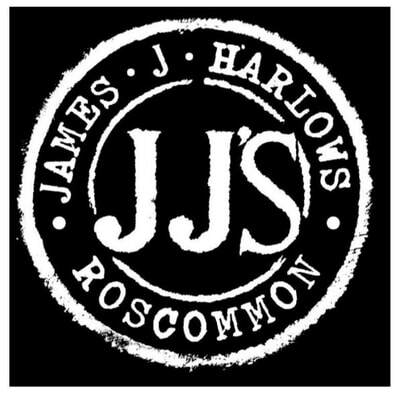 Also there will be a related LIVE PERFORMANCE in JJ Harlow,s Bar for Culture Night by Noel Molloy. “Destiny guides our fortunes more favorably than we could have expected. Look there, Sancho Panza, my friend, and see those thirty or so wild giants, with whom I intend to do battle and kill each and all of them, so with their stolen booty we can begin to enrich ourselves. This is nobel, righteous warfare, for it is wonderfully useful to God to have such an evil race wiped from the face of the earth." "The ones you can see over there," answered his master, "with the huge arms, some of which are very nearly two leagues long. ""Now look, your grace,"said Sancho, "what you see over there aren't giants, but windmills, and what seems to be arms are just their sails, that go around in the wind and turn the millstone." the views of Roscommon Arts Office.